Grunberger Diamonds is the world’s largest producer of American Gem Society (AGS) 0 super ideal-cut melee with hearts and arrows. Specializing in sizes from 1 to 3.89 mm (0.0040 to 0.22 carats), Grunberger manufactures hundreds of thousands of diamonds a month in more than 40 qualities, each ideal cut with hearts and arrows. Grunberger’s diamonds can be calibrated to within 0.0250 of a millimetre, ensuring they will match and fit the settings you designed while being the most beautiful choice you can make. Founded more than seven decades ago and now in the well-suited hands of the third generation, Grunberger Diamonds continues to thrive worldwide, with four sales offices over three continents. As an AGS supplier, Grunberger Diamonds adheres to the highest level of grading standards and business ethics. First established in 1902, the Cullinan diamond mine made its mark in history when, in 1905, the Cullinan Diamond was found. Weighing 3106 carats, it holds the record for largest rough diamond of gem-quality ever found. Today, the mine is owned by Petra Diamonds. Three colourless synthetic diamonds sit on Sam Barbuzzi's desk, though none are part of a parcel submitted for grading. Instead, the Gemesis-produced 40-pointers were sourced by one of Barbuzzi's suppliers. Why? He wanted a closer look. 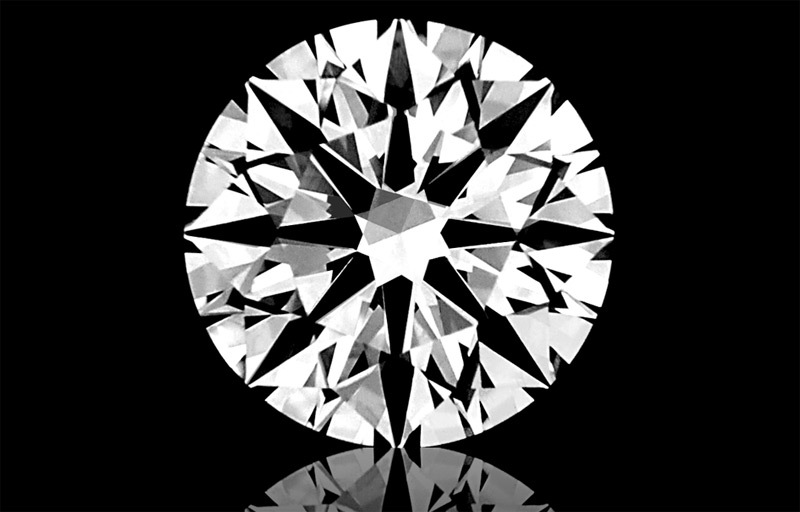 Recent trade news reports of discoveries of undisclosed synthetic diamonds may be indicators of uncertain times ahead for the appraiser/gemmologist.